Priced to sell!!! 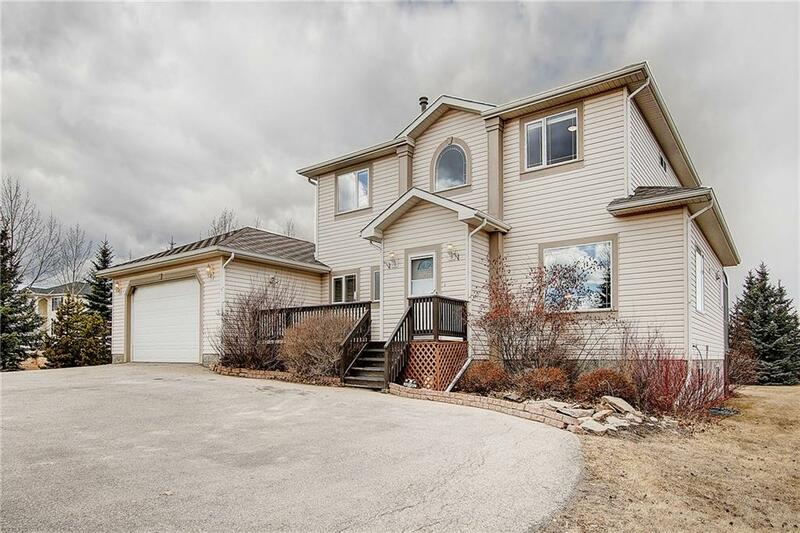 Wonderful opportunity to live in the country yet 5 minutes away from Cochrane. This home is situated on a 3.98 acres of beautifully landscaped yard with loads of trees and shrubs. Lovely, well maintained, very clean home offers over 3400 sq. ft. of developed living space, lots of windows with beautiful views from each room, kitchen with walk in pantry, breakfast bar, lots of counter space, spacious family room with fireplace, 6 large bedrooms, master bedroom with 4 pc ensuite and large walk-in closet, den/office on main level, 4 bathrooms, back entrance with built in lockers and laundry room, lower level has large windows, recreation room, in-floor heating, 2 hot water tanks, central AC, attached sunroom, front porch, double attached garage and more. Development Permits and plans are available, upgraded electrical to 200 amp service. A must to see !!!! Perfect for a large family!! !